Join us as we blast through EIGHT 1 hour continuing education presentations. Stock up on this day to keep your transcript in the “black” with TBAE and AIA. This class is your solution to that accessibility CE credit! Peter Grojean will discuss the newest rules passed by the Texas Department of Licensing & Regulations, TAS procedures and enforcement guidelines. This course will better inform the architects on quartz, the history, its relationship with quartz surfacing materials and the manufacturing process of quartz surfacing materials. 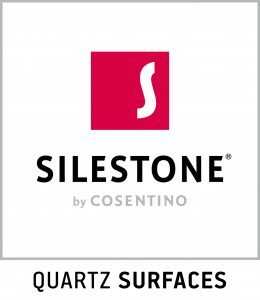 The professional will learn the differences between solid surfaces, stone surfaces and quartz surfaces. Laboratories are some of the most technically challenging types of spaces to design. Once the technical aspects are accounted for, what separates the “good” labs from the great? The answer lies in productivity. Whether the lab is for research, testing, or teaching, operating at optimal potential is the goal of any lab. The presenters will start with a brief history of laboratory design, followed by a discussion of productivity metrics which are translatable to various laboratory types. Numerous design strategies and features which maximize productivity will be presented, as well as examples of recent laboratory work. Dave is a Director in the Science+Technology group of CRB, an AEC and consulting firm focused on facilities for life sciences and advanced technologies. His diverse background includes architectural programming, project management, and a wide range of planning services. His past clients include the University of Missouri, Lansing Community College, Gatorade Sports Science Institute, North Park University, University of Scranton, and the University of Illinois. His research and professional papers on Lab Design can be found in Tradeline, Society for College and University Planning, and APPA’s Facility Planning Magazine. This Hardwood Floor Finishing course is intended to provide an understand about the life cycle of a hardwood floor in a residential or commercial setting. The course covers the benefits of specifying hardwood, each step of the sanding and finishing process and how design trends have contributed to advanced color techniques on site finished wood flooring installations. Attendees will also learn about proper long-term maintenance procedures that contribute to successful design implementation.